Our mission is to offer a trusted and friendly electrical service to the home owners of Helderberg. We accommodate a variety of electrical demands and are committed in helping your neighborhood. Whichever sort of electric work necessary we guarantee superb attention to the task at hand. Irrespective of how large or small the project, we always carry out the work on our own instead of subcontract other electrical contractors. Your satisfaction is our main concern and the project just isn’t complete until you are happy! We will offer you a warm and friendly local community service that you simply are welcome to call us at any time even though it’s just for electrical recommendations. You will receive no pressure, sales pitch or any up-selling. Call Abacas Solutions 24 Hours a day, the certified electrician in Helderberg. Regardless of what your require, allow our accredited, experienced and qualified techs sort out your business or residential electric maintenance. Abacas Solutions in Helderberg is the best trustworthy electrical contractor. Our company offers the most affordable electrical installations and fixes through Helderberg. 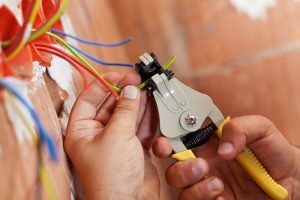 With more than 20 years’ experience as an electrical contractor, Abacas Solutions electrical services is dedicated to supplying a comprehensive home, industrial and commercial electrical service to all residents within Cape Town. Along with our main focus on client satisfaction, safety and integrity, Abacas Solutions supply you with qualified electrical contractors who ensure your repair or any installation is from the best standard.